3 Bedroom Semi Detached For Sale in Rotherham for Guide Price £100,000. 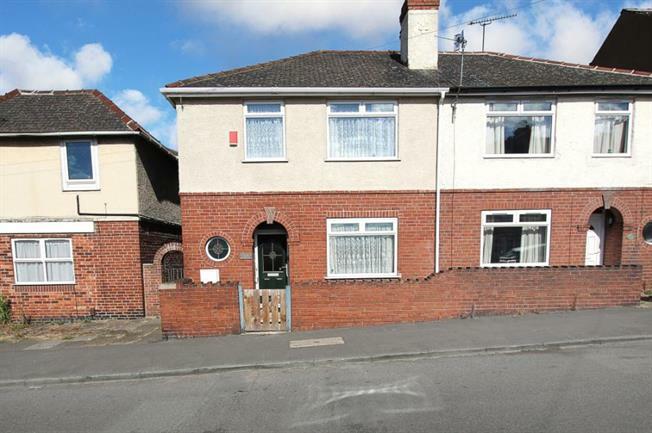 This spacious and well presented semi detached home is offered for sale with no chain involved. Giving access to public transport links and local amenities. This three bedroom semi detached home must be viewed to appreciate the spacious living space on offer. Having recently upgraded kitchen and shower room. In brief the property comprises of entrance hall and w.c. Lounge with feature fireplace. Extended recently refitted dining kitchen. First floor landing with three spacious bedrooms and refitted shower room. Outside well presented enclosed garden to rear. Viewing a must.